Let me quickly set the scene of my analogy today and identify a couple of the main protagonists. We are talking “Strictly Come Dancing” here – “Dancing with the Stars” for colleagues across the Pond. As you might imagine, Strictly is ostensiously a dance competition – you dance well, the judges mark you highly, you stay in to dance again the following week, and the person who comes last is voted out of the competition after a dance off. Granted, it is partly a dance competition … but it is also part popularity contest. Why so? Because it is not just the well informed judges voting on who stays or goes, but also us, the general “armchair experts” public. And while we do partly judge it on the dancing, we also bestow our voting favours on what we enjoyed and, crucially, on who we like. And on occasions, it is the mix between these two elements which is crucial. Such was the case last weekend – Ashley who, judging by the scores, is right at the top in terms of dancing ability, left the public cold and they (we) voted her into the bottom two and the dance off. Why? Not as popular as some of the others for … one can only presume … a variety of possible factors. Long winded intro, Mark … now what’s your point? 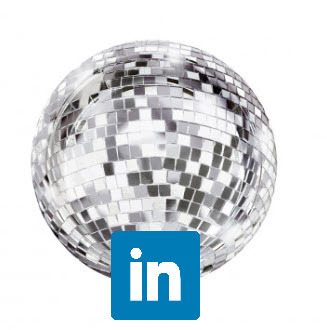 LinkedIn, like life in general, doesn’t just reward expertise – it rewards popularity. Being great at something is all well and good but you need to be widely seen to be recognised as such and allow you to benefit from it. You might write the most brilliant post or article on LinkedIn, for example, and yet get very few views simply because you didn’t get the other part of the equation … the part where people distribute it through their engagement. Engagement that in turn feeds back into LinkedIn’s algorithm which decides who it thinks will like what you have written and judges whether it was well received or not. In basic terms, if people comment on your post, like it, share it or even click ‘see more’ then they are showing that they are interested in it and are essentially voting for you by doing so. The system responds accordingly and shares the more popular posts further hence creating a virtuous circle. Lack of engagement, for whatever reason, results in the opposite effect and (in Strictly terms) the risk of being voted off. Does this really reflect the quality of the post … possibly. Does it reflect that it struck a popular chord or the writer knows how the system works and plays it accordingly …. just as possible. Is there an element of luck in terms of the timing and other factors … probably too. We can realise that LinkedIn’s algorithm rewards posts which don’t immediately try to take site users off of their site and so long text posts will currently do better than most others, particularly ones with external links. Playing the system by adding the link you wish people to follow in the Comments area rather than the main body of the text is a way to help this, as is editing the link back into the post itself after a certain amount of elapsed time. 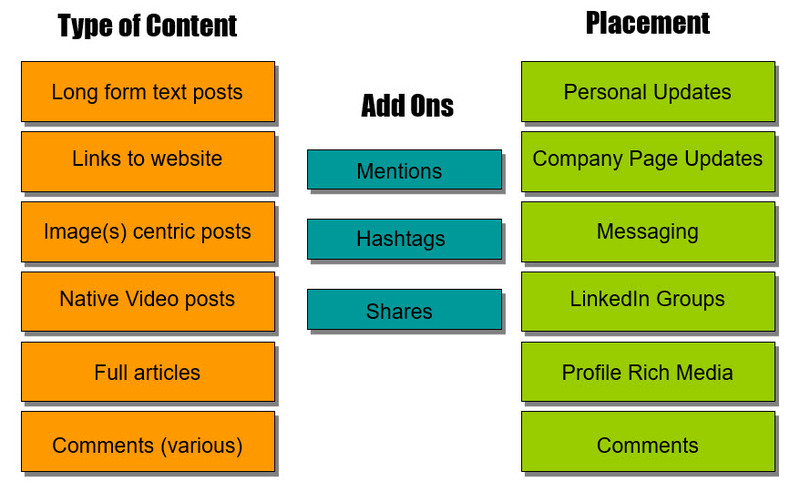 Both will help increase the initial push that your posts receives. Native videos also fare well and seem to get a lot more airtime while posts with external links take the most effort to get traction with as LinkedIn seems always to be putting on the brakes. One key way, particularly on Company Page posts is to get your team and advocates involved – if you can get some initial interaction then that seems to encourage that upward spiral and so help your visibility as well. All ways in which we can start to get the distribution of our content increasing and create the connections and opportunities as a results. There will still of course be occasions when we create something that we believe is brilliant. In my case, this might be an article that I’ve spent ages on and yet disappointingly it gets no traction and no views. Don’t give up! Timing might not have been right on that occasion so give it a couple of days and repost or reshare and start the process again. So to summarise – don’t hide your light under a bushel. (Biblical and popular references in one post, Mark – ouch). More than that, choose when to get your light out from under that bushel – if no-one’s there to see it then it might not do you a whole lot of good either. This entry was posted in Business Development on LinkedIn, Content Marketing, LinkedIn Strategy, Using LinkedIn and tagged LinkedIn Algorithm, LinkedIn Changes, LinkedIn Company Pages, LinkedIn Marketing, Using LinkedIn. Bookmark the permalink.